NEVER use lighter fluid in your EGG. Obtain the best results from cooking the all-natural way. 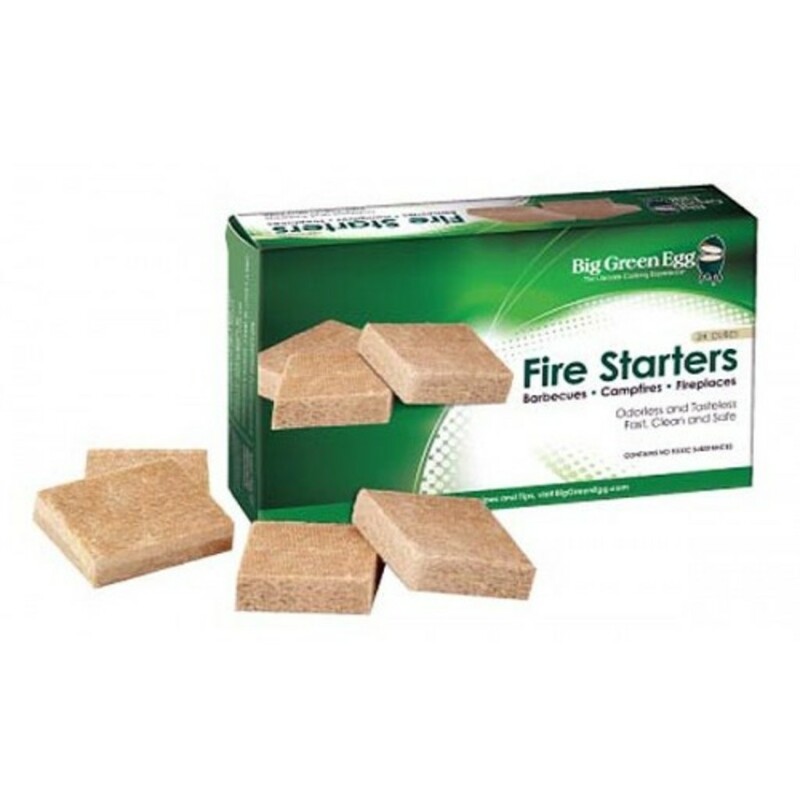 Our popular Natural Fire Starters come in boxes of 24 convenient squares. They light easily are odourless, tasteless, fast, clean and safe - containing no toxic substances. Use in conjunction with our Natural Lump Charcoal for a quick easy chemical free cook.